The main highlight of the Sony Xperia S is definitely the screen. It has a 4.3-inch LCD display with a bright and contrasty 1280 x 720 resolution. Some calls it a HD screen. It’s got a 12mpx camera too which records 1080p HD videos. 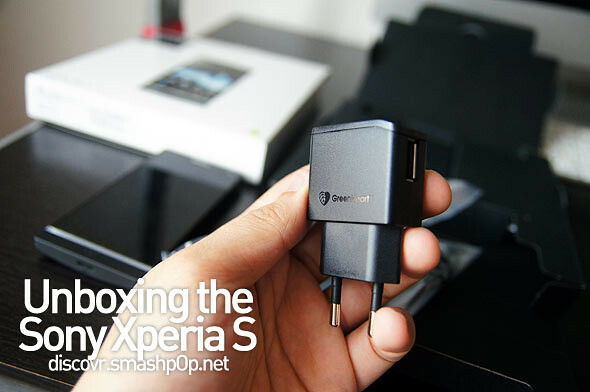 NFC is also built into the Xperia S.
More reviews on the Xperia S soon, for now, let’s check out what comes in the box. Taking a look at the new packaging (very Sony like), it clearly shows that the Xperia series has been rebranded. The package is now flat like a pizza box. At the back of it shows some of the great features on the Xperia S. Playstation certified, Bravia Engine, 3D Sweep Panorama, HDMI support and more. The black variant comes in a black box which contains the device and other accesories. Note that the image of the device on the outside of the box reflects the colour variant. 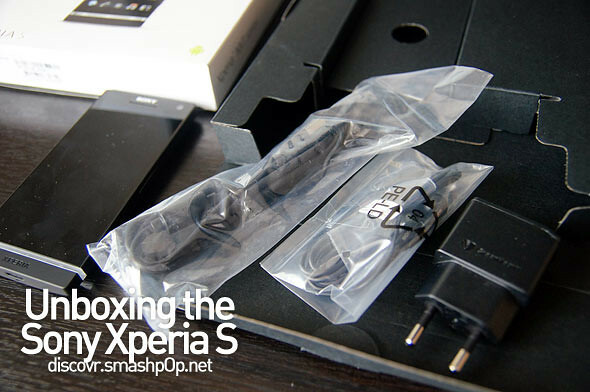 There isnt anything extraordinary that comes with the Sony Xperia S. The usuals like USB cable, power adapter, earphones and some documents can be found in the package. Greenheart logo on the power adapter. Upon switching the device on, we could notice how awesome the screen is. SUPER hi-res, very vibrant and high in contrast. Definitely top-notch display quality. Detailed review coming up soon, so please take a look at the MOST AWESOME unboxing video below. 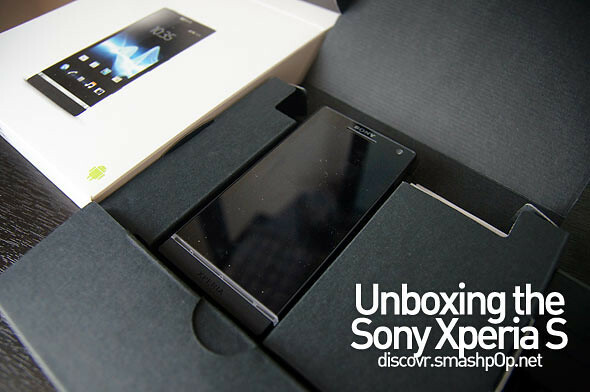 One Response to "Most Awesome Unboxing Of SONY Xperia S [video]"